Carbohydrates play a central role in metabolism, cell-cell recognition, and pathogen defense. To exploit the full potential of this diverse compound class for the development of pharmaceutically active substances, this handbook brings together the latest in carbohydrate chemistry with recent knowledge on the biological function of carbohydrates and their derivatives. Particular emphasis is placed on carbohydrates with pharmaceutical potential, including the most promising carbohydrate-based therapies currently available. 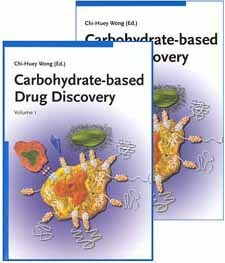 Carbohydrate-based Drug Discovery is a premier resource for carbohydrate chemists and drug developers, this comprehensive two-volume set contains contributions by more than 80 leading carbohydrate chemists.